The New AmeriPlan JumpStart Club Announcement! The long anticipated New AmeriPlan JumpStart Club changes are NOW HERE! 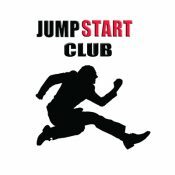 We encourage ALL BENEFIT CONSULTANTS please goto your BACK OFFICE and view ALL NEW JUMPSTART CLUB PDFs. There you will find all the pertinent information relating to the new JumpStart Club procedures. You can also use our Online Chat Option located on either of our three corporate websites.